Nice visuals, cameras, great music. Every Elad prod is better than the previous one. This one is no exception :-) Congrats with the victory! WOW! This is lovely in both visuals and sound! Maybe if it had metaballs. boring but neat tune. and it's 4k! Have to agree with Rasmus and a-move on this one, sry. well, not too bad, just a little bit of too less content! its balls(one focused by camera! ), a cuboid with checkerboard-coloring plus music! all marched and nice reflections! easy for some, but looks nice! rulez added on the 2012-06-20 00:30:41 by ɧ4ɾɗվ. 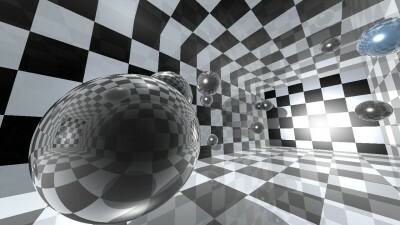 Raytraced spheres, checkboard pattern, thin and primitive synth sound, banal music, nauseating cameras. page created in 0.017224 seconds with 15 queries.